This beautiful mini-display contains a section of genuine production used / screen used Tardis Roundel Surround from the Tardis Console Room Wall as feature with the 9th and 10th Doctor, the grey wall panelling was part of the Roundels when made in the new style Tardis. A client of ours had a roundel with the grey surround and had it trimmed down to fit into a frame, not destroying the piece - these off cuts from trimming were left over when making it straight on the sides ! The piece you receive will vary in size/colour/texture/shape. This display makes a gorgeous gift for any Doctor Who fan and is made from 3 layers of laser-cut acrylic with plated stainless steel fixings. The display measures 70mm by 42mm by 12mm thick. 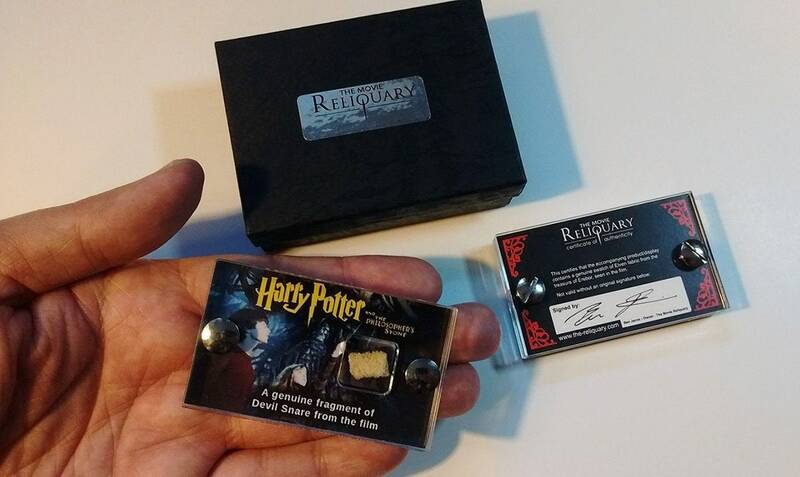 The display is shipped in a padded presentation gift box and has a signed certificate of authenticity printed into the back of the display itself, signed by Doctor Who prop specialist Matthew Doe of TBT Props / Toybox Treasures. 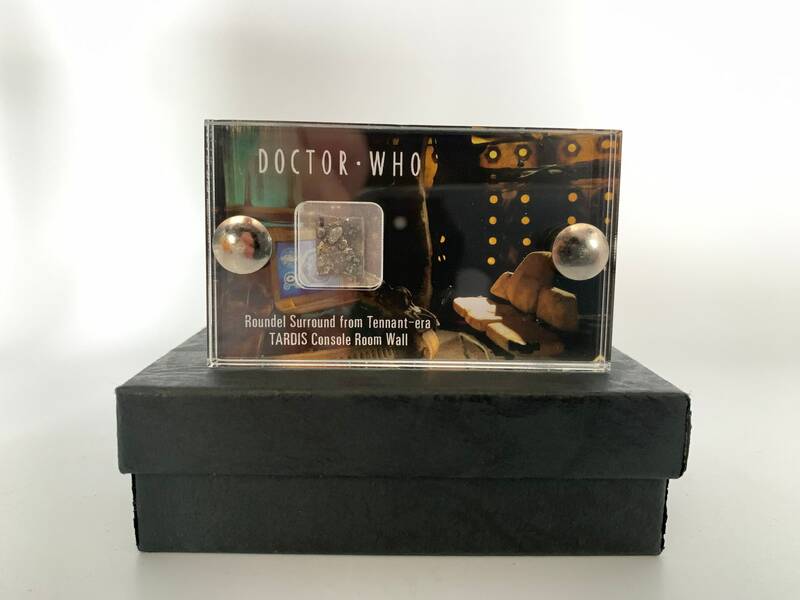 Note: Several variants of the Mini-Displays are available, size and gift-box images are shown for reference only, you will receive the Tardis Roundel Surround from the Console Room Wall display specifically in the gift box as shown.